When the time comes for you to have and outdoors activity, why not go to the people that know how to make the highest quality tent to keep both you and your guests protected from the elements at all times? 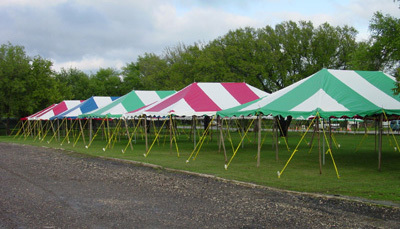 With the Premier 30 feet by 50 feet Ultimate Party Tent, you have a pole tent that has been designed to provide both you and your guests with the highest quality of service so that your outdoor festivities can go on without any fear of interruption from inclement weather. Does this tent have a skylight option? Unfortunately, there is not a skylight option for the Premier 30 X 50 Ultimate Party Tent.